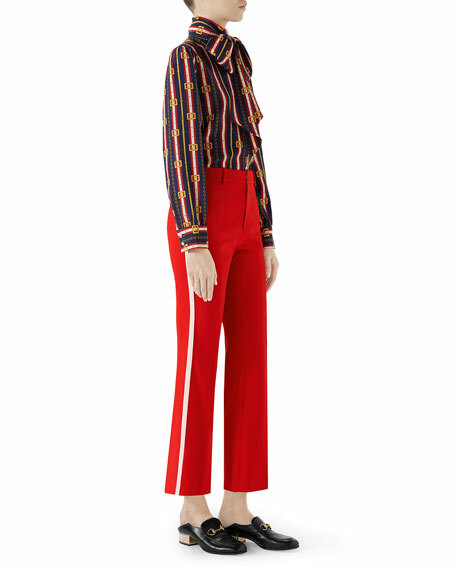 Silk crepe de chine blouse. 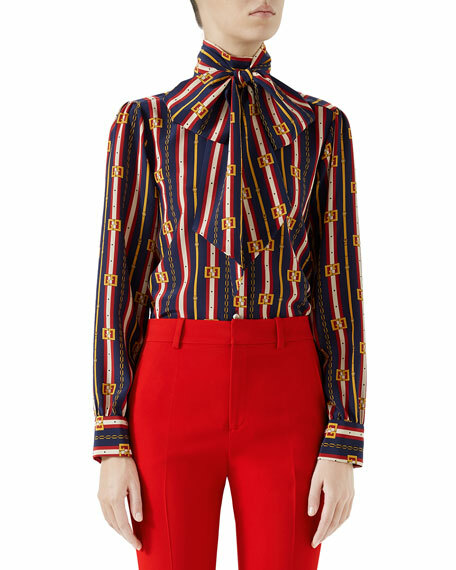 Gucci shirt in "Flora Gothic" print crepe de chine with pintucked and ruffle details. Crew neckline; button front. Long sleeves; button cuffs. Wrinkled finish. Semi-fitted. Silk. Made in Italy. 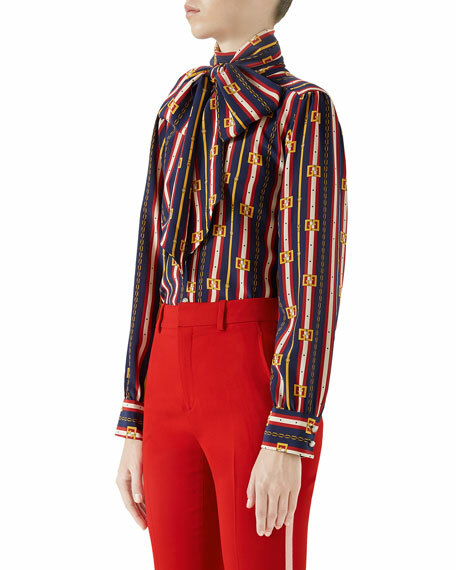 Colorblock silk blouse. Spread collar; button front. Long sleeves; button cuffs. Chest flap pocket. Regular fit. Hidden back zip. Made in Italy. 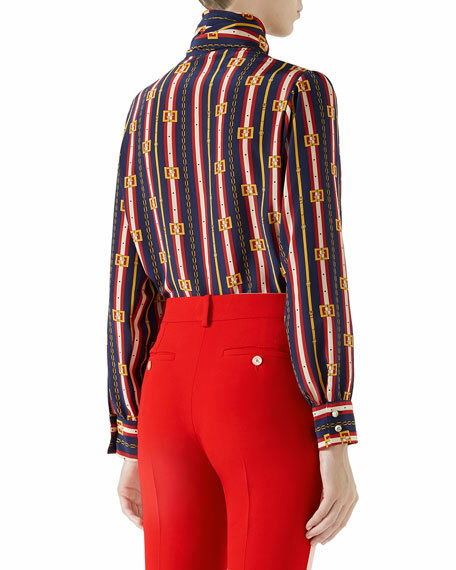 Gucci twill blouse in flower dégradé pattern. Mock turtleneck. Self-tie bow detail. Long, pouf sleeves. Two-button cuffs. Silk. Made in Italy.